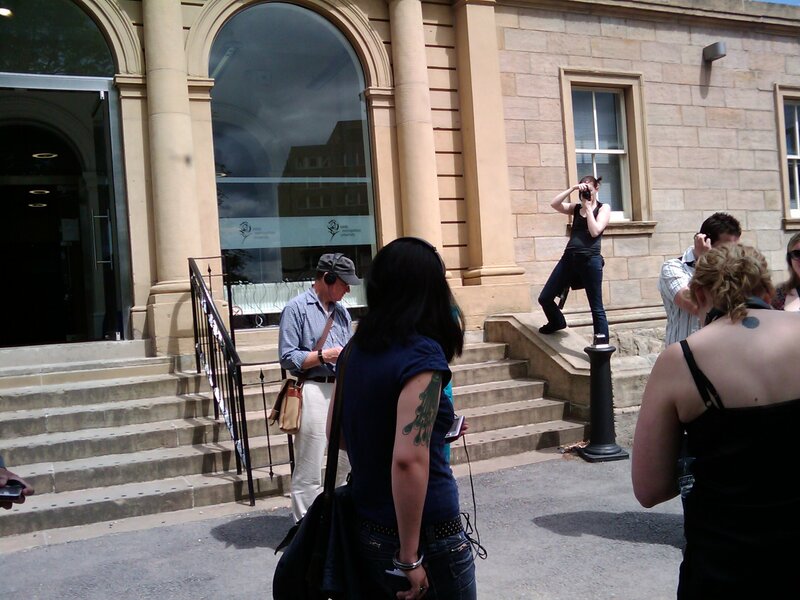 The day after UnSheffield (which was very good, some people have some further thoughts on the format) I popped along to the launch of Our City Our Music, rather embarrassingly still wearing my large-logo’d OSM t-shirt! The Our City Our Music launch comprised of the Saturday night with bands playing (which I missed, due to Sheffield) and on Sunday, the tour, at NTI Leeds / Old Broadcasting House. Our City, Our Music will be a location-based album on the streets. Its first project will be realised in Leeds and experienced using Global Positioning enabled handheld devices. It uses mscape software developed by Hewlett-Packard, which packs up audio and media files with GPS into one platform. Therefore it provides the opportunity for located experiences, in our case music videos filmed on location, re-experienced in situ using a handheld device. 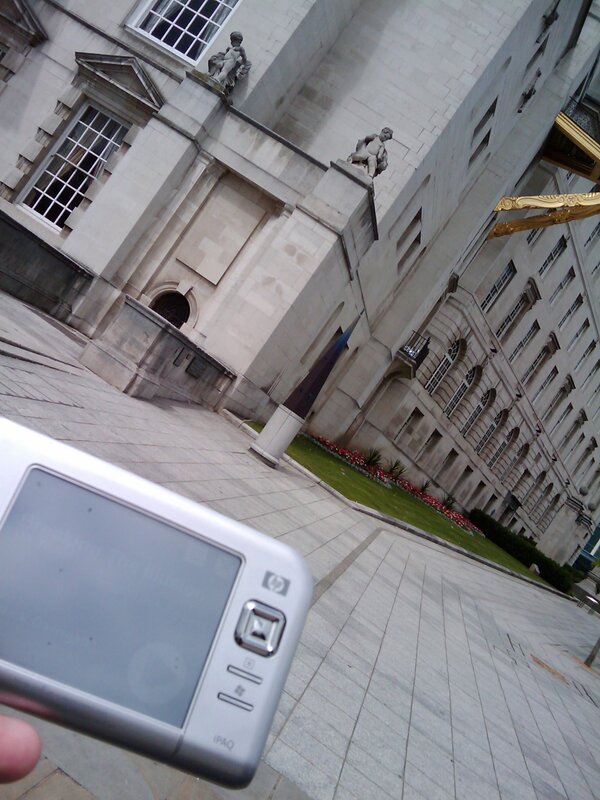 Using HP Mscape platform, and some nice headphones, people could wander around two areas of Leeds, and discover the sounds and watch music videos. The music were written with the locations in mind, and can only be seen on the devices, when you are in the very same locations where the music videos were taken. V. Good. Two tours were taken during the day, I went on the one through city, which lasted a good hour, and we walked throughout the City. It was quite a nice wander, chatted with a fellow geographer and had a bit of a psychogeographical look at this City. They plan on porting the software to run on windows mobile devices, and possibly make a web based version of it too. The team, Ben, Ben and Megan were supported by the b.Tween. They used OpenStreetMap on the units themselves, and on the supporting paper map guides. This entry was posted in geo, gis, neogeography, openstreetmap, psychogeography and tagged mscape, openstreetmap, osm. Bookmark the permalink.